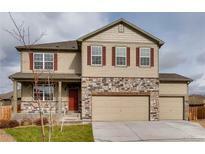 Find Commerce City, CO Homes for sale. View Photos, Maps and MLS Data Now! Hurry, you won’t want to miss this one! MLS#9113957. RE/MAX Alliance Northeast. Don't miss out on this gem of a home! MLS#6224636. Your Castle Realty LLC. Reunion - Don't miss out! Call today! MLS#6441659. Valor Real Estate, LLC. Linden - This home has it all - MUST SEE! MLS#7876996. HQ Homes. The backyard is perfect for fun outdoor activities. You must see it! MLS#3846895. Keller Williams Preferred Realty. You're going to love it! MLS#2795398. Madison & Company Properties. From this home, you can walk to trails, open space, the elementary school, and River Run park! MLS#3318638. CENTURY 21 GOLDEN WEST REALTY. The Fairways - This a perfect starter home or investment property, so don't delay, set up your showing today! MLS#7644632. KELLER WILLIAMS AVENUES REALTY. Great location walking distance to park and close to shopping MLS#4336880. KEY MASTERS REAL ESTATE. Reunion community highlights include Clubhouse, Common Area Grounds Maintenance, Community Pool, and Fitness Facility! MLS#5865887. Madison & Company Properties. The corner lot gives you all kinds of options! MLS#8626873. RE/MAX MOMENTUM. Known for their energy-efficient features, our home help you live a healthier and quieter lifestyle while saving thousands on utility bills. MLS#5562798. Kerrie A. Young (Independent). Upgraded electrical panel ready for your solar. MLS#4728716. WHITE PICK-IT FENCE REALTY. Derby Gardens - Hidden gem in Commerce City! Schedule your showing today!! ! MLS#5606259. AnyHome Realty. Black Hawk - Granite Counter-tops In Kitchen, Large Over-sized 2 Car Garage. Large Fenced Backyard. MLS#2525315. Keller Williams Realty Downtown LLC. Buckley Ranch - Open House Sat. Apr 20, 12-3pm MLS#7009516. Resident Realty Colorado. (estimated home completion July 5, 2019) (taxes are estimated due to home not yet fully assessed) MLS#2413150. MB JD AND ASSOCIATES. Potomac Farms - House has security system with ADT MLS#2325548. Modern Real Estate. This builder is known for their energy efficient features helping you live a healthier & quieter lifestyle while saving thousand on utility bills. Easy commute to DIA & downtown. MLS#7772659. HomeSmart Realty Group. Enjoy mountain views from your deck and large yard, and walk to to pool/playground/and schools! MLS#8157340. Keller Williams DTC. Reunion - 2 car garage and relaxing back yard. Make this your home! MLS#3034092. Your Castle Real Estate Inc.
(estimated home completion July 24, 2019) (taxes are estimated due to home not yet fully assessed) MLS#4728617. MB JD AND ASSOCIATES. The home is located on a corner lot with easy access to shopping and DIA. MLS#2220077. Eloquent Homes Ltd. 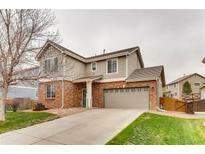 Excellent location, close to Hwy 85, and I-76, and DIA. MLS#7341019. HomeSmart Cherry Creek. These statistics are updated daily from the RE colorado. For further analysis or to obtain statistics not shown below please call Highgarden Real Estate at 720-729-2338 and speak with one of our real estate consultants.